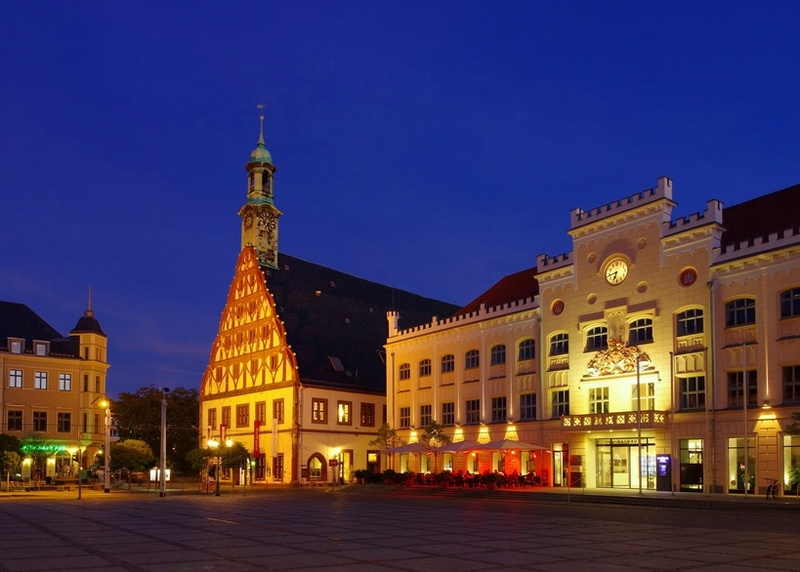 Zwickau - or as the Saxons call it, "Zwigge"
With about 93000 residents, Zwickau is the fourth largest city of Saxony. Being the birth city of Robert Schumann, a famous composer from the Romantic period, it is a popular destination. Zwickau's historic town center is over 900 years old. The city and concert halls, the Cathedral of Saint Marien, the priests' houses and, of course, the birthplace of Robert Schumann take you back in time. Zwickau was the cradle of Saxony's automobile industry. Horch, Audi, Auto Union, Trabant and Volkswagen are well-known marques. Cars have been built here since the beginning of the 20th century. In the August Horch Museum, you can follow the history and development of Horch, to Audi and Trabant, up to Volkswagen. The "Art Collections Zwickau" offer a unique exhibition of the Zwickau painter and member of the artist group "Brücke" Max Pechstein. Furthermore, you can make a tour along the river Mulde, or into Ore Mountains (Erzgebirge), or the Vogtland region. The Hotel Merkur in Zwickau is your best place to start.